General Description: Crystal Crane Hot Springs​ is a hot spring hideaway located in Harney County, at the gateway to the Steens Mountains in the beaver state of Oregon. ​ Crystal Crane Hot Springs boasts 7 private hot spring tubs and a giant amazing outdoor natural hot spring lagoon. Crystal offers accommodations that include tent and RV camping, cabins, a house, 5th wheel, bunkhouse and a teepee. Clothing is optional. Location: From Bend, Oregon is about 150 miles or about 2 and 1/2 hour drives to the hot springs. Accessibility: Crystal Crane Hot Springs​ ​is accessible. Open 365 days of the year. You can drive up to the property. The hot springs has a huge property to walk around. This hot springs has limited handicap accessibility. 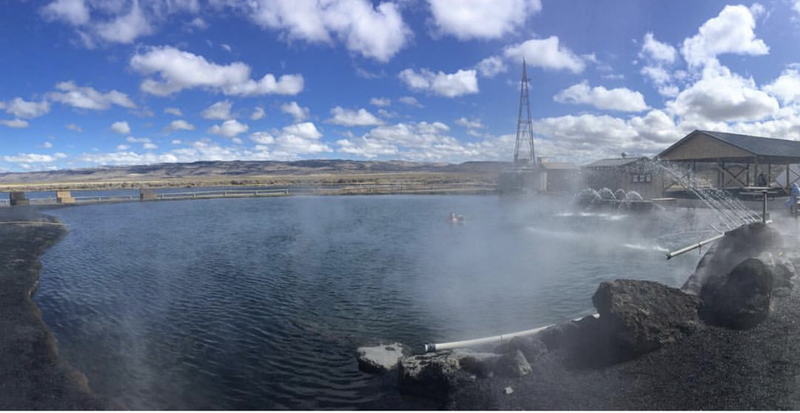 Hot Springs: ​Crystal Crane Hot Springs has 5 wells that they use as a source for all the geothermal needs. The hottest well is 165 degrees. The whole property uses geothermal mineral water including in all the accommodations plumbing. ​Crystal Crane boasts 7 private hot spring tubs and a giant outdoor natural Hot spring Pond. 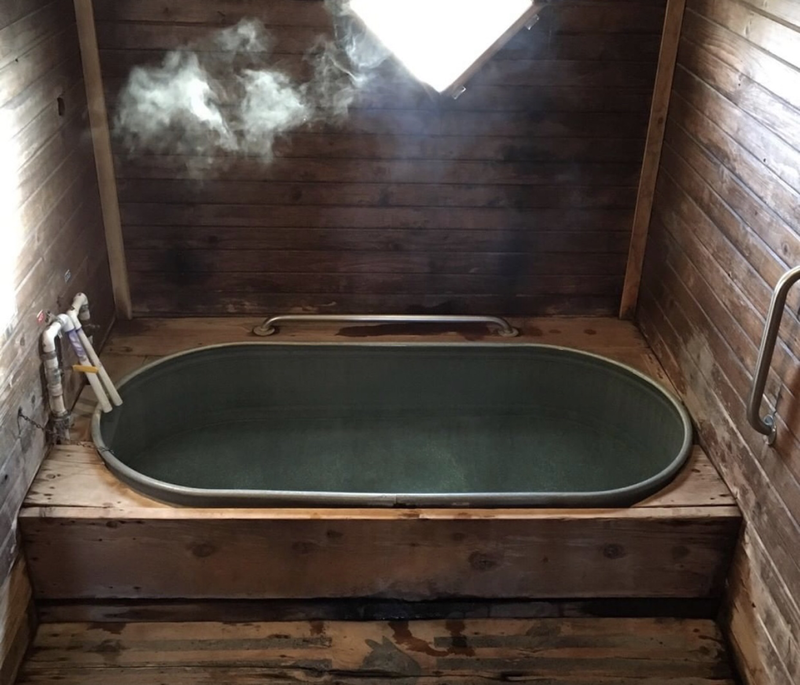 The private hot spring tubs can be adjusted to your liking fro 80 - 140 degrees. The private hot springs tubs are ceder-enclosed and comes with a bench area to change, hooks for your towels, and a freshly-cleaned bath. 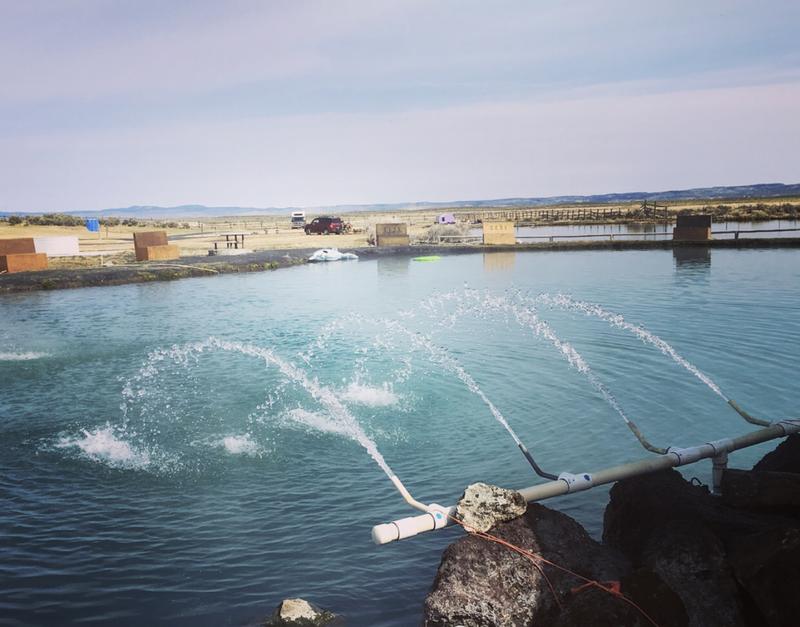 The expansive geothermal pond holds around 323,143 gallons. The Hot Springs Pond has a spanning area of 9728 square feet. The pond is about 7' deep in the center and has a temperature of 100 - 106 depending on the season. The water at Crystal is not treated. All the water is pure mineral water. Clothing is optional in the private tubs. Clothing is required in the hot springs pond. Hot Spring Tips: ​Crystal Crane Hot Springs offers day use for non guests. Guests with accommodations have access to the hot springs. This hot springs is pet friendly. No dogs in the hot springs. Crystal has a strict policy not allowing the following in the hot springs: smoking or vaping, eating or drinking, soaps or shampoo, lotions and skin ointment, excessive noise and disturbances, lewd or sexual behavior, running or diving, pets in the pond, glass, and oils. Youtube Video on Crystal Crane Hot Springs is below.